Growing annual flowers from seed is money in your pocket! Annual flowers are great to grow but, can be costly when purchasing at a nursery or garden center. Face it, we usually only buy a pack or two at a time when we actually need six or twelve. The cost for flower packs can be quite expensive. When you're an avid gardener, we don't like to pay much for garden supplies because, we have so much to buy each season. 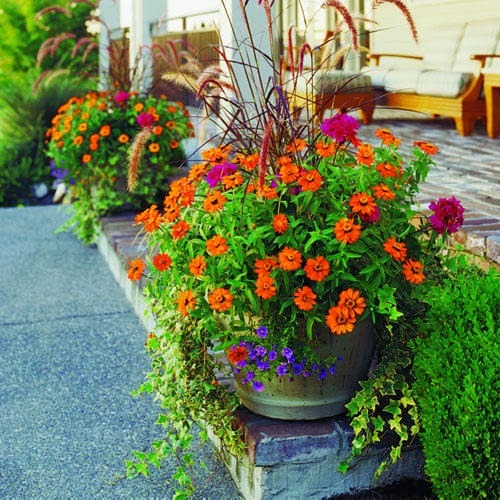 Annuals grow continuously from early spring to late Autumn and completely die by November. If you were smart, you would have saved seeds for next year’s planting and most of us are a bit lazy or forgetful when it comes to saving those marigold or bachelor button seeds, right? Buying flower packs at a garden center takes a lot of time out of growing them yourself. There's purchasing seed, buying or finding the potting supplies, planting the seed, tending to the seeds daily and then finally the day comes when you can actually transplant your beloved home grown flowers.. . that's if they survived! It takes a minutes compared to weeks to buy a pack of flowers then go home and put the in the ground. So there's definitely a convenience factor in buying annual flowers rather than growing them yourself from seed. Because annual flowers only grow from Spring to Autumn, this gives you another chance to have an entirely new garden every year. You can change annuals out in a garden to play up color, size, texture, aroma or just because you can! 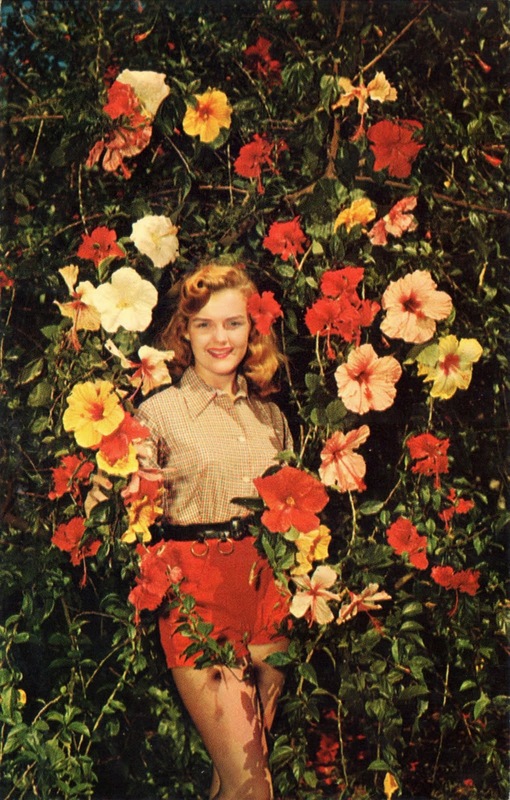 Most gardeners like to use annuals to accent their gardens that already have perennials or biennials planted. Annuals can be easily be changed out or rotated. Most annuals don’t mind being transplanted as long as the root system isn’t harmed. Starting plants from seed is less expensive than purchasing from a nursery, there are more varieties to choose from than most garden centers even offer, you can grow expensive higher quality plants and you will absolutely enjoy the satisfaction of growing your flowers from start to finish. Added bonus: seed saving! 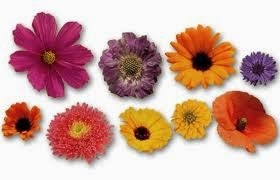 *Popular annual flowers include cosmos, aster, black eyed Susan, bachelor button, daisy, marigold, poppies, zinnia and more. A compiled list of annuals is listed below. If you live in cold weather climates it’s probably a good idea to start your seeds indoors. You can use any container you want as long as it’s sturdy and has good drainage. I like to reuse containers from items purchased at grocery stores. Foods that come in a bowl with a lid are usually sturdy. Cottage cheese, yogurt, tin cans, Starbucks coffee cups can all be repurposed for growing flowers from seed. Note: There are annuals that don't do well grown indoors or some that are soft or delicate that can be grown indoors but, don't like to be transplanted. A packet of flower seed can cost pennies to a few dollars. I’ve purchased American Seed Company for 10¢ from Walgreens to Burpee for $3.48 From Walmart. If you choose an heirloom variety, you can save seeds for next season. Just think of the savings! It's always wonderful to share seed or use them for seed swapping too! When buying seed, always check the packing date on the back. Most seeds will last three to five years if stored in a dry dark place. I've actually found seeds that I've stored away that were over 10 years old and some of the snap dragon and marigold actually germinated. It was about a 35% germination ratio. Seeds are like canned food.. they always need to be rotated every few years. I recommend that you follow the seed packet’s planting instructions. Planting a seed too deep will often stop germination. A seed will begin to germinate but, it has to struggle to rise to the top of the soil. You should never over water soil when planting seeds. Too much water can actually make seeds rot. Soil should be kept damp but, not wet. Seed planting depth differs from seed to seed. I’ve always been taught that the general rule of seed planting is to sow at a depth twice the size of the seed. A squash seed is planted deeper than a poppy seed, right? Hard seeds as like morning glories should be soaked overnight to soften the outer shell of the seed. Some seeds as like apple seed should be frozen for a few months before planting. There are even seeds that should be scored so germination can take place. It’s always a good idea to research your flower seed variety before jumping into planting them. The back of a seed packet is the first place to reference. Most seed packing companies (Burpee.com, EdenBrothers.com, ParkSeed.com) have great online planting information or seed catalogs that are like a dictionary for growing seeds. 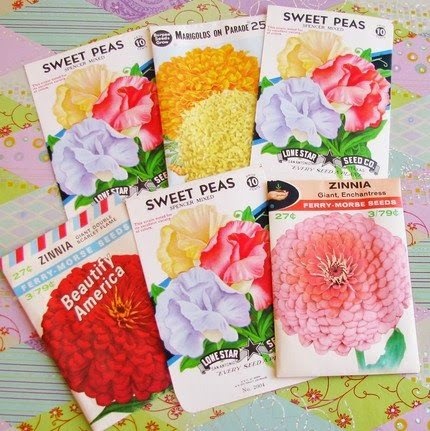 With time and patience, a packet of seed will give you far more flowers than a four or six pack of flowers from Lowe’s. I completely recommend growing flowers from seed because, it’s far cheaper than purchasing flower packs from your local garden center, seeds grown in your own soil will be hardier and will adapt to your soil’s ph condition and lastly, there’s far more variety of seed packets available than actual plants grown at any nursery. Most nurseries have the usual annuals as like marigold, petuna, zinnia etc. If you live in warm climate as like southern California, go ahead and sow your seeds directly in the ground or grow in containers outside. Tossing your seeds where you want them to grow is called direct sowing in garden terms. This is good when you want to plant a patch of a particular flower as like marigold, cosmos, bachelor button or allysum. I’ll sow flower seed when I want a block of flowers usually of one or two variety. I like to have more control over where I plant my flowers. I’ve also been known to change my mind about where I want particular flowers to grow. I like to change things up each year. Starting and growing seeds in containers makes it easier to mix match plants and transferring plants to the soil is easy breezy. Sowing seed directly can be a risky if you reside in a windy area, have roaming animals that walk through garden beds or even pecking birds like pigeons, crows or chickens. By planting seed in containers, planning a flower garden’s color scheme is a whole lot easier and it’s simple to transfer plants from a cell pack or container. There’s nothing more discouraging after sowing seed, waiting and nothing comes up. Sometimes seeds erode or are blown away so, starting seeds in containers makes creating borders and planned flower beds easier. Note: There are tender annuals that don’t do well started from seed indoors. Alyssum, poppies, larkspur, or even sweet peas are examples of tender annuals. It’s best to direct sow these types of flowers after the danger of the last frost or in containers outdoors. For some reason they just don’t like a control environment and like to start their little lives outside. Remember, if your container doesn't have good drainage, it will be bad for the seed and rooting system. Just take a hammer and a nail to the bottom of the container or an electric drill to make holes. Seed sells for starters can be purchased at any garden center. Jiffy pots are a good brand that can be used over and over. I've even seen them sold at pharmacies. The biodegradable paper flower pots are great but, I’d rather save money by using something made of hard durable plastic or tin that can be cleaned with vinegar then reused. Note: Sometimes tin cans in the summer can be too hot for growing tender plants in. We all know how hot it gets in the southwest. Painting tin cans yellow, light blue or orange can keep the cans cool. Your best bet in not baking your plants when using tin cans is to keep them in indirect sun. Most flowers will germinate fine indoors because they need a warm soil temperature but, for some reason flowers that are considered 'soft annuals' like to actually grow outdoors once leaves begin to divelop. Hardy Annuals That Grow Just Fine Indoors and transfer with no problem. These plants need a ground temperature of at least 60F to germinate. So if you keep your house at a moderate temperature, there should be no problem with germinating seeds. It’s best to start these seeds about six weeks before you plan on transplanting them outdoors. You can scatter the seeds in large containers and once your plants have their first true leaves, you’re ready to transplant into separate cells or flower pots. Use a pencil or pen to separate the plant from the soil. This is called teasing your plant. Be careful not to damage the root system when pulling the flower out of the growing container.